For some experts, Canada's securities industry is increasingly becoming exposed to risks. A report by The Globe and Mail revealed that despite regulatory warnings, many Canadian dealers have failed meeting federal rules put in place to combat financial crime. In fact, when anti-money laundering agency Fintrac examined 250 of Canada's securities dealers, it saw significant shortcomings in their control. Vancouver lawyer Christine Duhaime told The Globe and Mail that the sector seemed to be an area of concern, given that it could attract criminals. "It’s like real estate a couple of years ago where, because it’s unlooked at, the practices are somewhat sloppy and oversight is really not there like it is in a lot of other sectors," Duhaime said. The sector's vulnerability has already caught the attention of the Paris-based Financial Action Task Force, which pinpointed to the weak internal controls. According to the Fintrac report, the sector had a "very low" level of reporting in comparison to banks, credit unions and even casinos. For industry expert Matthew McGuire, most dealers were unaware of the red flags of suspicious transactions. "I think if you surveyed 10 securities dealers today, all 10 would say: ‘There’s no money laundering here,’” McGuire said. 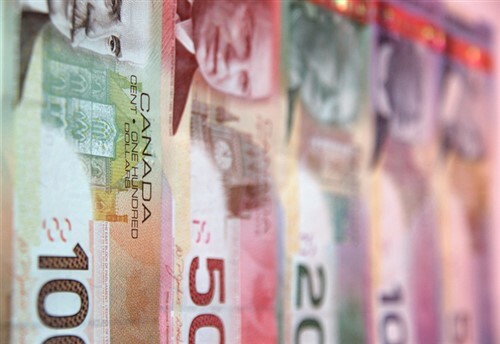 While the Canadian anti-money laundering rules require dealers to have a compliance regime, keep records of all clients, and flag suspicious transactions, The Globe and Mail said many were unable to meet the requirements. Based on the data, Fintrac investigated securities dealers 253 times between April 2012, and September 2017. With those investigations, it found either “significant” or “very significant” deficiencies in the companies’ anti-money-laundering and terrorist-financing controls 117 times or roughly 45% of all instances. "Fintrac did not provide a clear definition of limited or significant deficiencies. Instead, the agency said it considers the type, severity and number of shortcomings observed during the examination when determining the level of non-compliance," it said. However, not all agree to this. Canchek Corporation president Lawrence Boyce said the source of data might not be specific enough to paint a clear picture of the industry. "We’re not suggesting that there is no money laundering on Bay Street, or that there aren’t securities dealers that need to improve their AML controls. But this kind of inaccurate and alarmist article does no good to anyone. Regulators don’t like to see their efforts being derided by articles like this," Boyce said in a statement. He added: "At best the regulators ignore them; at worst they might step up their efforts to counter their effect on public perception rather than allocating their resources on a more measured basis. We hope that doesn’t happen here, but you never know."